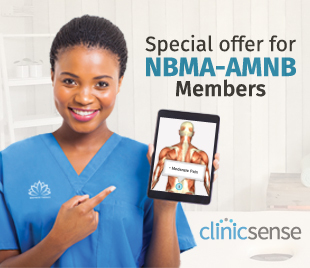 The NBMA-AMNB has a specific set of requirements that are to be met in order to become a member. Below is the list of what is mandatory in order to successfully be accepted. If at anytime you have questions or concerns regarding the requirements contact us via email: info@nbma-amnb.ca or through out contact form located here. Full name MUST be exactly identical to the one given to CMTNB. If you used another given name under the CMTNB please use that while registering with NBMA-AMNB. Both have to match. Enjoy member access to many great features that the NBMA-AMNB offers: Course listings, Employment opportunities, NBMA-AMNB news, Form downloads, Business listings and much more.